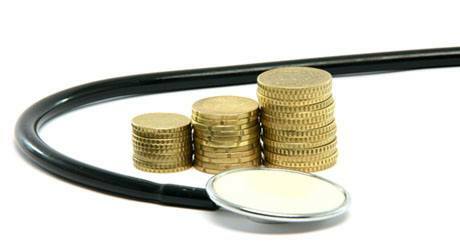 Financial Health Day: Is it Time to Take Financial Health Day? There’s no denying that we’ve all have taken at least one sick day, vacation day, or mental health day. From time to time, everyone needs a break. But here’s a question for you: when was the last time you considered taking a financial health day? Rob Lieber ponders this question in a recent New York Times article and it’s one we found to be particularly relevant given the tough economic times. With so many of us struggling to navigate the difficult terrain of today’s economic realities, Lieber explains that taking just one day to make small changes to your accounts can make a big difference in your financial life. It’s easy to become overwhelmed by the immensity of the daunting task of regaining control of your spending, but by using one of our favorite SMALL methods, you can shrink your problem back down to size. What’s the secret? Try making a checklist. Just like us, you will quickly discover that when you list out every little thing you need to complete in order to accomplish your overall goal, you take the abstract idea of “fixing your finances” and redefine it into meaningful and achievable “mini-tasks.” Sure, making a checklist to help you sort out your financial issues probably won’t make you a millionaire overnight, but we guarantee it will help you sleep easier. As Lieber writes in his article, the best way to get started in your mini money makeover is to begin with the easiest things first. So, once you’ve drafted your checklist, go back and organize all of your tasks by level of difficulty from easiest to hardest. After you complete each one, cross it off your list and before you know it, you’ll find that the satisfaction you gain from accomplishing each goal will give you the confidence you need to tackle the tough stuff. Switch to a high yield savings account. If, like a surprising number of Americans, you don’t already have a savings account, now is the perfect time to start. (Head to the web to learn about online-only banks offering high yield accounts with no minimum balance.) If you’re already in the habit of saving, make sure to check your interest rates. Just by transferring to a higher-yielding account, you could save considerably more in the long run with minimal effort. Negotiate. Looking for an excuse to put THE POWER OF NICE to good use? Look no further than your friendly customer service representative. Whether you’re looking to lower your credit card’s APR or just want to get a better deal on your cable, you’ll find that a little sugar goes a long way. So, no matter how many times you’re placed on hold, resist the urge to intimidate and instead try to make the person on the other end of the phone smile. Trust us, you’ll be happy you did. Check, check, and re-check. As we love to say, “little mistakes can spell disaster,” so use your financial health day to carefully read all of your financial statements and monitor them for errors. After all, a misplaced decimal point could mean the difference between one dollar and one hundred dollars! Once you’ve honed your bill-scanning skills, make sure you stay in the habit whenever you receive a new statement in the mail or online. Linda Kaplan Thaler and Robin Koval are the CEO and President, respectively, of The Kaplan Thaler Group and the co-authors of the national bestsellers, BANG! Getting Your Message Heard in a Noisy World and THE POWER OF NICE: How to Conquer the Business World with Kindness. Their newest collaboration, THE POWER OF SMALL: Why Little Things Make All the Difference, debuted on the bestseller lists of the Wall Street Journal, USA Today, and The Washington Post. You can keep up with them at The Small Blog or follow them on Twitter.